Pour your best draught or bottle into this personalized beer glass, engraved with your name and any one line message. Shaped just like a beer can, this engraved glass was designed to give your drink a signature look. 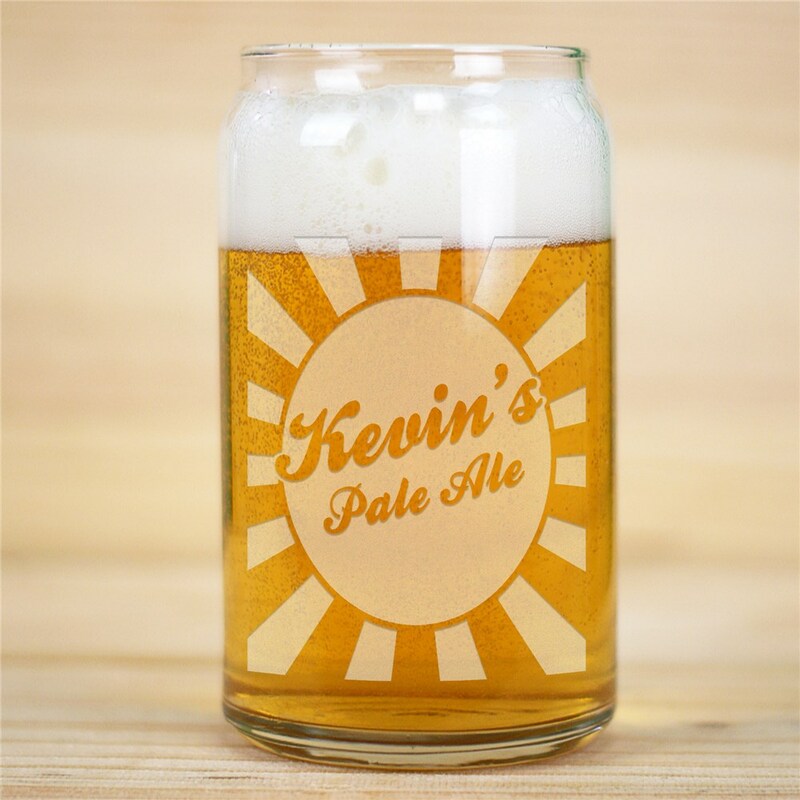 A beer glass like this is an excellent personalized barware gift for groomsmen & beer lovers alike. My friend will enjoy her set of personalized glasses!